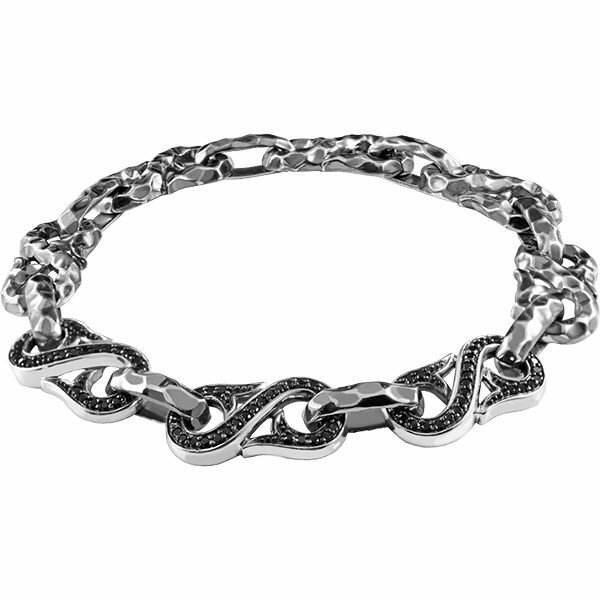 Bracelet length is approximately 21cm long, thickness is 11mm wide. Approximately 1.00ct round brilliant cut natural black diamonds. 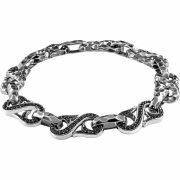 Natural Black Diamonds, are used in this Bracelet. All semi precious gems and Diamonds are selected specifically for Bakalian designs.